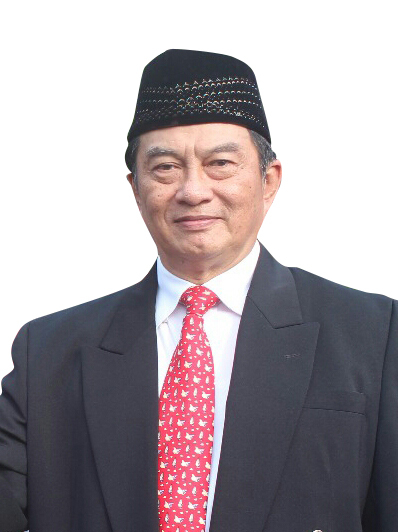 I am honored to welcome you as the family member of our revered educational institution “Sekolah Insan Cendekia Madani." It is the right place for you all to have your children be educated, modeled and given feedback as the ways of learning applied to our school, to reach the most potentials in academic and Islamic characters development, insyaaAllah. I put a lot of emphasizes on the aspects mentioned above. Since our Prophet Muhammad SAW (Peace Be Upon Him) teaches us, that we need to get ourselves educated, we need to seek knowledge, the knowledge of wisdom and truth, as He, once received the first word of Allah; “IQRA." He then said "TALAB UL ILMU FARIZATUN ALA KULLI MUSLIM." Acquiring knowledge is mandatory for every Muslim both male and female. So here I am right now as the President Director with the mission to empower everyone in the school. I encourage all the teachers and the students, to be lifelong learners, who can recognize the potentials within; characters and academically. Be further developed in a secure, caring, and stimulating environment in which to grow and mature emotionally, intellectually, physically, and socially facilitated by whole-heartedly committed teachers since we believe that each student is a unique individual. Above all, the most critical point that I would like to highlight is how we should address the Islamic characters development of all students by utilizing all learning activities our school as designed. I am confident with the consistent application in our daily life at class; students will have more significant advantages in the long run due to the high academic competences equipped with real Islamic characters which result in promoting them to be the fully competent person we dream. Finally, by saying Basmallah, let’s work hand in hand collaboratively to further support our school in creating future leaders. Thank you.